Every stimulus that one experiences through food and drink is really a small intoxication. But it is not only the food that one eats, the water that one drinks, and all that one sees and hears and touches that has an influence, an effect, on a man's being and intoxicates him; even the air that he breathes from morning till evening is continually giving him a stimulus and an intoxication. If this is true, is there then one moment when a man is not intoxicated? He is always intoxicated, only sometimes more so than others. This is, however, not the only intoxication. A man's absorption in the affairs of his life also keeps him intoxicated; and besides the intoxication of his work and affairs in which his mind is absorbed, there is a third intoxication, and that is the attachment that a man has to himself, the sympathy he has with himself. It is this intoxication which makes him selfish, greedy, and very often unjust towards his fellow men. The effect of this intoxication is that a man is continually feeling, thinking, and acting with the idea in mind of what would be to his interest, what could bring him an advantage;' and in this idea his whole life and all his time become fully involved. It is this intoxication that makes him say, 'This one is my friend and that one is my enemy; this one is my well-wisher, but that one is against me'; and it is this intoxication that builds the ego, the false ego of man. Just as an intoxicated man does not really know what is profitable to him, so a selfish man in his selfishness never knows nor understands what is really to his advantage. In moments of soberness a man wonders, 'If this is intoxication, then what is reality? I would like to know what reality is.' But to know reality not only the eyes and ears are necessary, but soberness too is needed to hear and see better. One might ask why all this should be called intoxication if it seems to be the normal state of every person. It can be called a normal condition only in so far as it is indeed the condition of everyone; but intoxication remains intoxication; it is not satisfactory. There is an innate longing for a certain satisfaction which man does not know, and this satisfaction he seeks. No active person with any wisdom will deny the fact that often an effort he makes for happiness seems to result in disappointment; this shows that the effort was in the wrong direction. But apart from the making of an effort to find reality one must first realize what this intoxication is; in order to do this the first step on the path of truth is to know that such a thing as intoxication exists. Understanding this mystery, the Sufis have founded their culture upon the principle of intoxication. They call this intoxication Hal, and Hal means literally condition or state. There is a saying of the Sufis, 'Man speaks and acts according to his condition.' One cannot speak or act differently from the wine one has drunk. 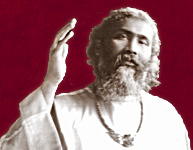 With the one who has drunk the wine of anger, whatever he says or does is irritating; with the one who has drunk the wine of detachment, in his thought, speech and action you will find nothing but detachment; with the one who drinks the wine of attachment, you will find in his presence that all are drawn to him and that he is drawn to all. Everything a person does and says is according to the wine that he has taken. That is why the Sufi says, 'Heaven and hell are in the hand of man, if he only knew their mystery.' To a Sufi the world is like a wine-cellar, a store in which all sorts of wines are collected. He has only to choose what wine he will have and what wine will bring him the delight which is the longing of his soul. I once had an experience in India which was my first impression, and a very deep impression indeed, of this aspect of life. When walking in a district where dervishes lived in solitude I found ten or twelve dervishes together, sitting under the shade of a tree in their ragged clothes, talking to one another. As I was curious to hear and see people of different thoughts and ideas, I stood there watching this assembly to see what was going on. These dervishes, sitting on the ground without a carpet, at first gave an impression of poverty and helplessness, sitting there in disappointment, probably entirely without possessions. But as they began to speak to each other that impression did not remain, for when they addressed one another they said, 'O, King of kings, O, Emperor of emperors'. At first I was taken aback on hearing these words, but after giving some thought to it I asked myself: what is an emperor, what is a king? Is the real king and emperor within or without? For he who is the emperor of the outer empire depends on all that is without. The moment he is separated from that environment he is no longer an emperor. But these emperors, sitting on the bare ground, were real emperors. No one could take away their empire, for their empire, their kingdom, was not an illusion, their kingdom was a real kingdom. An emperor may have a bottle of wine in front of him, but these emperors had drunk that wine and had become real emperors. Do we not sometimes see in our everyday life a person who says, 'I am ill, I am sorry for myself, I am miserable, I am wretched'? Put him in a palace and surround him with doctors and nurses, he will still be wretched. And another person who may be in great suffering and pain, but yet says, 'No, I am well, I am happy, everything is all right', that person has a right attitude. Does it not show us that we are, that we become, the wine we drink? The man who is drunk with the wine of success knows no failure; and if circumstances make him fail nine times, the tenth time he will succeed. The one who has drunk the wine of failure may be given all the possibility of success; but he has drunk the wine of failure; he cannot succeed. It is no doubt very difficult to explain how this soberness is attained; yet after having explained this subject of intoxication it is less difficult. For it is really as simple as saying that the way to give up drink is to keep the drink away and to remain without drink for a time. There are three principal wines, three principal intoxications: the intoxication of one's self, the intoxication of one's occupation, and the third intoxication which is what the senses feel every moment; and these three wines cannot all be taken away at once. It would be just like taking away his life's sustenance from a person who lives on wine. But one can set a person a certain time and see that during that time he keeps sober and only takes two wines, not three; and that he next tries to take only one, not two. And as a person advances in meditative life he may arrive at that stage where the three wines on which he lives may all be withheld and yet he still feels that he can live; and so he will become convinced that he can exist without these three intoxications. Verily, this conviction of existing independently of these three wines, which bring man the realization of external life, is the essence of the divine message and of all religions.